Exotic stones are an exclusive variety of natural stones that are intrinsically linked with luxury, quality and reliability. This nature of exotic stones has made them one of the most sought-after products while the demand continues to rise. As per the high-end residential market, people have turned design savvy. They browse through natural stones in showrooms with a desire to pick something unique and extraordinary. Today, customers are willing to invest in natural stones that come with quality and beauty. And exotic stones are just the perfect blend of both. Whether you want to renovate kitchen countertops or wish to redecorate your bathroom interiors, exotic stones can easily enhance the look of any kind of interiors. Even more, they are becoming a popular choice when customers seek to improve the resale value of their properties. So, here are some of the best-selling exotic stones for a bespoke yet outstanding solution. How Various Types Of Exotic Stones Can Convert A Simple Home To Classy One? The gemstone is an exceptional natural stone produced from semi-precious stones that are clustered together and deposited into a resin base stone. The naturally charming and unique look of gemstone can easily become the centre of attraction in any room while adding value to your home or business. You even have translucent varieties that can be coupled with backlighting for an excellent appearance. Although gemstone is fragile it is a durable material ideal for application on countertops in shops or in areas of the kitchen and bathrooms in a home. The material is resistant to heat, staining and fading - thanks to resin that has the potential to absorb. Amethyst, rose quartz, blue agate, lapis and tiger eye are some of the varieties to choose from. Onyx is known for its unparalleled vein-like appearance that makes it stand out from other types of exotic stones. It is usually available in light colours that add a soothing look to your home interiors. It can be cut into desired thickness to deliver a translucent product. Due to its fragile nature, onyx is apt for installation in low-traffic areas like vanity tops, home bar area, wall surface or flooring. It is a popular alternative to granite in master bathrooms. Onyx is one of the most delicate stones that require utmost care. Exposure to acidic materials and scratch from pots and pans can damage the material. As a result, fabricators generally attach a fibreglass backing compound that adds an extra level of durability to the product. Travertine is another great choice if you desire to add elegance and style to your home interiors. The stone is a type of limestone that is increasingly being liked by people due to its striking look and consistency in colour. Just like other exotic stones, travertine is a delicate stone that is ideal for application in low-traffic areas. You can use the product in bathroom surrounds, showers or kitchen backsplashes. The product is also used in flooring for being one of the most durable stones in the market. Besides, Travertine Giallo is a golden brown colour stone with veining and layered texture that delivers an amazing look to a vanity top. When you have limestone installed in your home or office interiors, you should know that the exotic stone comes with the glory of nature. The light stone forms with deposition of ancient aquatic fossils over years that give it an appealing look. Onyx and travertine are variations of limestone that are soft, porous and excellent for application in low-traffic areas. Gneiss is a type of exotic stone that appears and performs like granite, so it often called as granite. Gneiss is a metamorphic stone that is produced from a granite deposit or schist by exposing to intense heat and pressure. The veining pattern of the stone often reflects foliation structures that endow a dramatic look. It is an ornamental stone ideal for architectural application or installation in bathroom countertops, flooring or surfacing. It comes in a few unusual colours like intense blue making it a part of exotic variety. Granite is one of the most-used natural stones worldwide. The stone is resistant to heat and less porous compared to marble. Therefore, it serves as an excellent choice for bathroom vanities, outdoor grill areas, laundry rooms or kitchen countertops. Two granite slabs will never resemble each other and as a result, you have a stone to add uniqueness to your interiors. Application of granite is considered a work art and so it easily becomes a centre of attraction. If you are looking for a durable and incredibly sturdy material that is also resistant to scratch and heat, then quartzite is the one available in the market. Its popularity is increasing like marble and granite due to its versatility and superior strength. Quartzite is a metamorphic rock that is mostly composed of quartz. It looks like marble with a very distinct veining and grainy background. Approximately, quartzite is available in 25 range of colours. The quality, aesthetic appeal and strength of quartzite make it an excellent material for both residential and commercial properties. Hence, it can be customised to meet any design requirements. Exotic stones are fragile and delicate in nature. Hence, the manufacture of exotic stones requires knowledge, experience and special skills. Quality Marbles India has the long-established reputation for being the leading exotic stone manufacturers. We incorporate ultra-modern technology with great experience and knowledge to produce the best quality durable exotic stones. Our company is backed by a team of skilled professionals that showcase the highest form of craftsmanship in delivering superior quality products. QM India is also known for being one of the largest exporters of exotic stones. We export exotic varieties worldwide including UAE. Our exotic stone supplies in UAE have added to our credentials a long list of satisfied clientele. QM India fabricates all types of natural stones including the exotic variety in all formats such as slab, tile, cubic for interior and exterior applications. Right from construction to architecture, we have a huge exotic stone collection that can be customised as per your requirements. 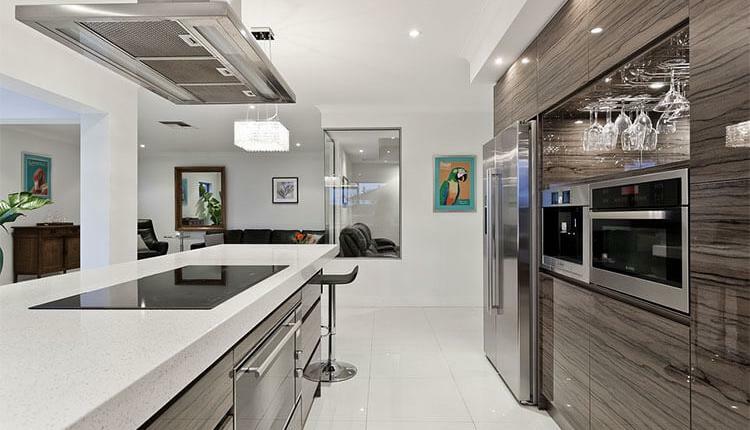 Do you have a dream home renovation project in mind? We are here to provide the best in class exotic stones that can add value, durability and beauty! Things You Need To Know About Wall Cladding And Its Vibe With Natural Stones Marble Vs Granite - Which One To Choose For Busy Countertops? Natural Or Artificial Stone - Which One Is Best For Your Space? 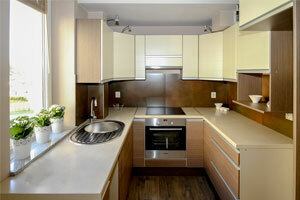 Have You Chosen The Right Material For Your Kitchen Countertop? Consider This Quick Guide! Marble Vs Granite - Which One To Choose For Busy Countertops?